There has been some speculation recently as to the actual DVD cover for the upcoming dvd. Daniel Brett dropped me an email on December 23rd linking to this article which has a possible DVD cover. He’s seen this cover in a few places, so perhaps it’s the UK version’s cover? The Amazon site also has more details about the DVD. 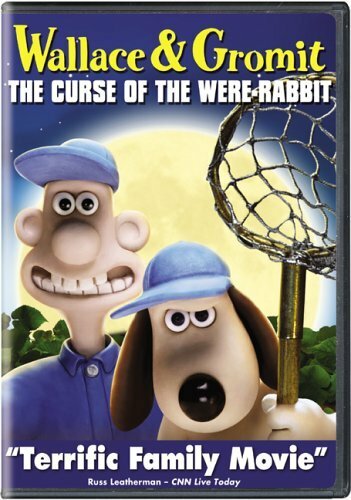 They are also offering Wallace & Gromit 2 DVD Cracking Collector’s Set which includes Curse and the three shorts! Lastly, there is this article: Farmer’s vow as film boosts demand. The maker of Stinking Bishop cheese has been unable to keep up with the 500% increase in demand for his cheese following the release of Curse and is only currently only able to about 20% of the orders coming in. Interesting to read about the impact Wallace and Gromit can have on small business! This entry was posted on Saturday, December 31st, 2005 at 9:45 am	and is filed under News. You can follow any responses to this entry through the RSS 2.0 feed. Both comments and pings are currently closed.